Study: Recall profound moments of Holy Communion in your life – your First Communion; Communion at a major event; Communion when you faced a particular need. Pray: The next time you receive the Body of Christ, open your heart to the grace and power of the Lord. Serve: Perhaps you know someone who is not able to get to Mass; consider ways to bring Communion, have a visit, or arrange a way to get to Mass. They were two disciples. They had followed Jesus, believed in Jesus, and now were on the road to Emmaus after the death of the Lord. While we do not know what they were saying to each other, I can only imagine their doubt, fear, and confusion. They had placed their hope in Jesus, and he had died. They meet a stranger. We know he is Jesus, but we are told that “their eyes were prevented from recognizing him.” The stranger begins talking with them, listening to them, and then he begins to teach and explain. On the road we learn that the stranger shows all the prophecies and messages within the Scriptures. He tells them that it was necessary that the messiah would suffer death and then enter into glory. He talked for most of the seven mile walk about Moses and all the prophets, and when they reached Emmaus he looked like he was going farther. And their “eyes were opened” and they knew that it was the Lord. 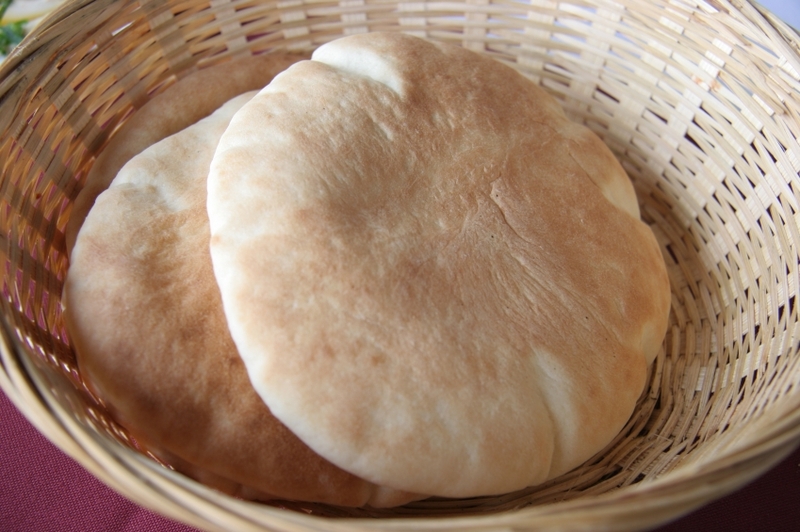 In the breaking of the bread the disciples recognized Jesus in their midst. He had taught them through the Scriptures, and he was revealed to them through the meal. in his name that we might receive the Body and Blood of Jesus himself (this is in Mt. 26:26-29; Mk. 14:22-25; Lk. 22:19-20; Jn. 6:51-58; 1 Cor. 11:23-24). 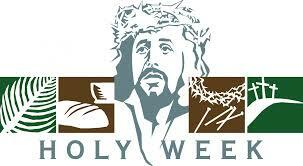 This weekend we welcome our 2nd grade children at the Cathedral to join us as we follow the command of Jesus Christ. We pray that these children and their families will continue to grow closer to the Lord through their communion. And we pray that all of us will continue to recognize the Lord in our midst, through the breaking of the bread. Study: Reflect on a time in life when you experience a profound sense of peace. Where did it come from in your life? Pray: Ask the Lord for the gift of his peace, and pray for the guidance to cultivate a peaceful heart. Serve: How can you bring the Lord’s peace to another right now? Every year we hear this Gospel reading from John on the Sunday after Easter. The Church, in its wisdom, has found that these verses continue to speak to our hearts in a way that moves and teaches us. In the past I have reflected on Thomas; I can identify with his questions and sarcasm! I can easily understand how someone who can see and touch the risen Christ might still harbor doubts that he has been raised from the dead. In the past I have reflected on his doubt, largely because I could comprehend his words and actions. Yet this year I am struck by something different. In this short passage Jesus says three different times, “Peace be with you” to his disciples. Why? Imagine the feelings and emotions of the disciples. They had followed Jesus for three years. They heard the teaching and preaching. They saw the miracles and witnessed the healings. And they stood at a distance (having run for their lives) when the mob came and the soldiers crucified Jesus. In those last few days before his crucifixion, they had experienced the entire spectrum of human emotion, and until the truth of the resurrection sunk in, they were adrift in their grief and loss. How desperately we need to hear these words! Peace – in our hearts, our homes, our country, and our world! The risen Christ fills our hearts not only with faith, hope, and love – but with a peace, a serenity that cannot come from anything else. With this phrase Jesus calms their fears and soothes their concern. He gently and lovingly meets the disciples where they are, and he urges them (remember Thomas!) to grow in faith. How do we take these words to heart today? In our desire to cultivate a peaceful heart, it is important to always remember the WHAT and the HOW. “What” refers to the object of our desire. We seek peace: in the solitude of our heart; in our relationships with others; in the values and purpose of our lives. “What” we seek is the goal that orients the direction of our lives and provides a guide to keep us on track. “How” refers to the manner we go about it. Do our thoughts, words, and actions consistently reflect our desire for peace? “How” we live is equally crucial, for it demonstrates the unified manner of our lives – nourishing and strengthening us by the constant reinforcement of our (peaceful) behavior. “Peace be with you” becomes both the goal and practice of each moment: we strive for peace even as we diligently work to cultivate peace in our hearts. Jesus himself gives us the strength for both: he teaches us to value peace, and he sustains us to grow in peace when we are challenged by the discord and stress of life. As the Lord’s followers, these words are our heritage. Peace begins in us, and as the disciples of the Prince of Peace, we are called to work for and build his Kingdom of Peace here on earth. Fear is left behind as we focus on Christ and dwell – in peace! Study: When have you experienced a profound moment of change and growth? What brought it about? Pray: Open your heart to Jesus Christ. Let the joy of the resurrection transform your life. Serve: Claim your faith! Let your love for the Lord direct your thoughts, words, and actions – in whatever you face today. In the early hours of that first Easter Day we celebrate an incredible hope as word spread through the city of Jerusalem – Jesus is alive. His followers had been crushed by the agony of the Cross. Lost – beyond all sense of pain, sorrow, and grief – from the darkness of their fear and despair they passed on the message: we have seen him, we have touched him, we have eaten with him – the Lord has been raised! The same disciples who once fled for their lives will now go out into the world to proclaim the Good News of Jesus Christ. They will face persecution, suffering, and martyrdom in order to testify to the truth of Easter Day: the Resurrection of Christ. What’s more, they will do this with an overwhelming sense of conviction and strength. No one can ignore the power of this effect. 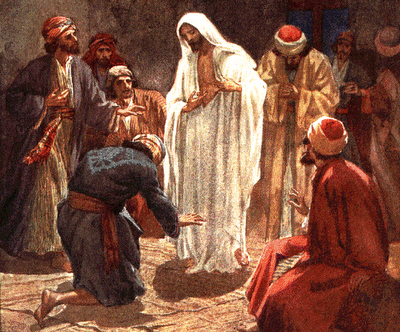 The encounter with the Risen Lord changes everything. What is there to be afraid of? Jesus has broken the chains of sin and death – we can face anything in this world with confidence. Jesus has triumphed, and in the light of Easter Day we now draw on his strength to face our battles with joy. The death of Jesus on the Cross was for our sins; the resurrection of Jesus was for our lives. 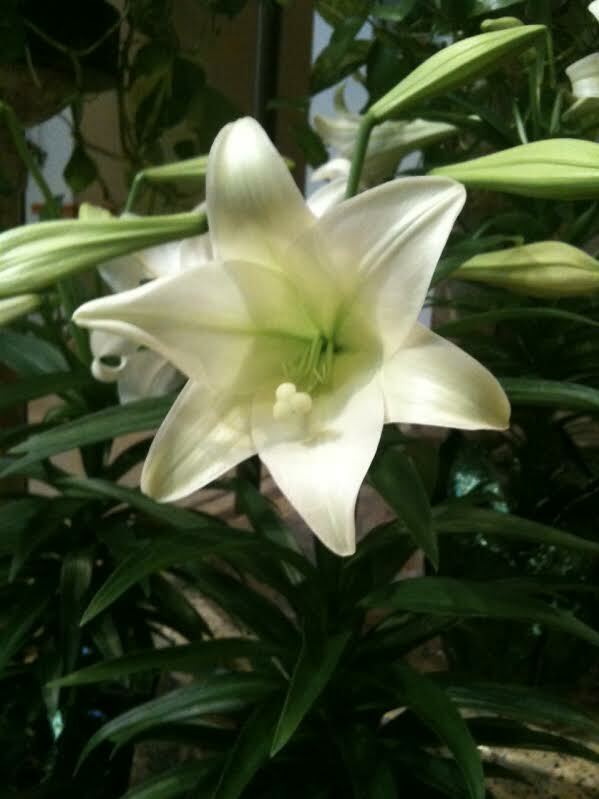 The power of Easter Day directs our attention to the sacred and precious gift of life. Life is worth fighting for, worth dying for, and worth living for – in this world and the next. The resurrection reveals God’s love for our lives; we are worth the sacrifice of the Cross and empowered to live with faith, hope, and love. How will we live this great promise of faith? How will we allow the power of Easter to transform us? For remember: the moment we acknowledge the truth of the resurrection our lives fundamentally change. Directed by the saving work of Christ we now engage the world on new terms: we witness through word and action the love of Jesus each and every day. With our eyes fixed on heaven we boldly walk this earth as his disciples. We live our lives with real truth and power. We live our lives as God’s sons and daughters. The authentic witness of our faith is THE WAY that people truly discover Jesus. It was true for the disciples on that first Easter Day, and it is true for disciples today. Perhaps today is the day that our faith takes on a deeper meaning and purpose in our lives – placing Jesus first in all that we say and do. May this Easter Day fill our hearts with grace and power to live in the light of Christ. May we let the Lord into our hearts and allow our lives to be transformed by his love. Christ is alive! Alleluia! Alleluia! Study: How did you learn your Christian faith? When did it become something you claimed for your own? Pray: This is a good time to count our blessings and draw near to the Lord in gratitude for the gift of life. 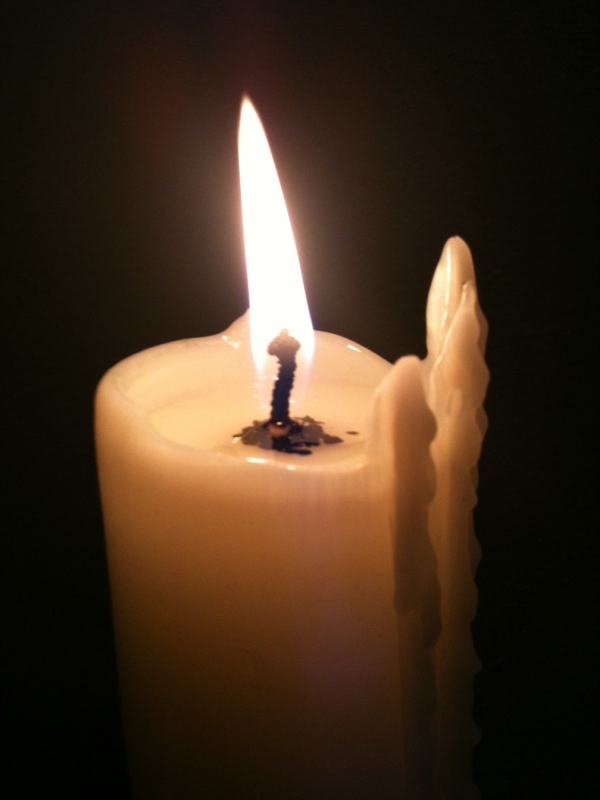 This candle is processed into church where the faithful light their own candles from it. By this sea of candlelight the great Easter proclamation of Christ our Light – the Exsultet – is offered. A reading from Romans 6:3-11 – Christ, raised from the dead, dies no more! The Liturgy of Initiation then follows where those who have been preparing to enter the Church now receive their sacraments. The great promise of faith, founded upon God’s saving work through time in the history of salvation, is proclaimed on this holy night. May Christians around the world renew their faith in Jesus Christ – sharing his love and light with one another. Study: Consider a time in life when all hope seemed lost. Where did strength come from? Pray: Offer a prayer of acceptance for the love and saving work of Jesus. 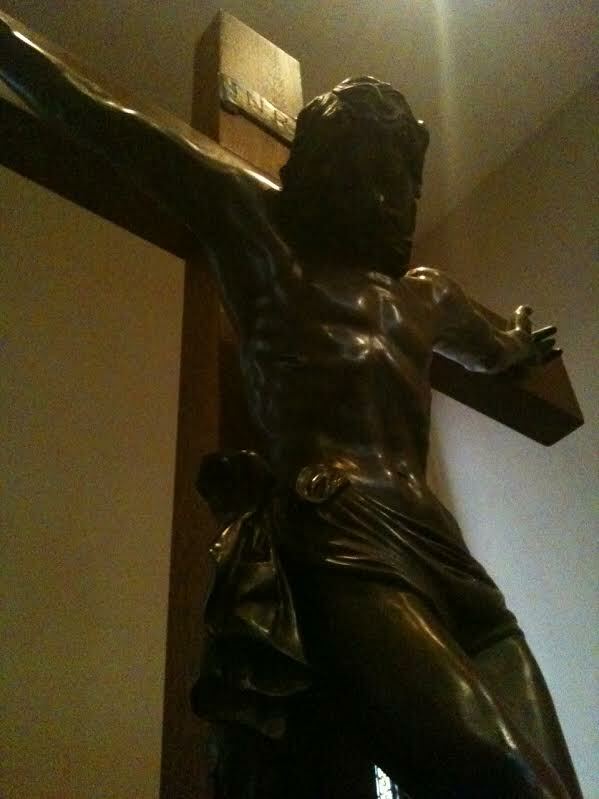 Gaze upon a crucifix and reflect on his sacrifice. Serve: Acts of love, kindness, and sacrifice come in all shapes and sizes; where might you offer your life today for another? Let me be brutally clear: have you ever had a day so bad that it seemed as if the earth had swallowed you up and you were trapped under a crushing weight of pain, sorrow, agony, loss, humiliation, abandonment, or confusion – utterly devoid of all direction, purpose, and meaning? A place where reality overflows with suffering? Welcome to the Cross of Jesus Christ. Why? Why! Why would God allow this? What could such horrible suffering teach us about ourselves or God? Jesus Christ endured this day out of love for a wounded and broken humanity. He died in this wretched way for our sinful weakness because we could not be healed on our own. He carried his Cross because of our worst days – the days that we regret over the thoughts, words, and actions that we cannot take back. The Cross reveals the depth of God’s love: a love without limit or boundary. There is nothing, NOTHING, that can keep us from the wondrous love of Christ. Jesus embraces our human faults, sins, and weaknesses – and meets us there with the Cross that should have been our own. His Cross bridges the gap caused by our sins and restores us to a life of grace. We are invited today to look into the eyes of Jesus and recognize the one who knows us completely and loves us entirely. We have the chance today to accept this love and walk in his light. Perhaps sometime today we will have the opportunity to get down on our knees and recommit our lives to Christ – who offers this Wondrous Love for our salvation. Study: Where do you find strength in your spiritual life? Pray: Ask the Lord for guidance and wisdom to recognize his face in the poor, the suffering, and those in need. Serve: Are you being drawn to help another right now? How can you serve those God has placed in your life today? It’s a simple message really. There is work to be done; it will be demanding and require a lot of energy. If you don’t have the necessary strength you won’t be able to follow through. The same holds true for the spiritual life. Life makes many demands upon us, and as we serve and love others we, too, require sustenance for the work before us. The Lord knew this. He left us the Sacrament of his Body and Blood – food that nourishes our souls and gives us the grace and strength of Jesus himself. 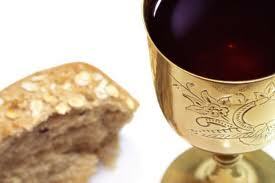 Receiving Holy Communion, as the apostles did at the Lord’s Supper, is the primary way that we are fed spiritually. But this grace has a purpose. 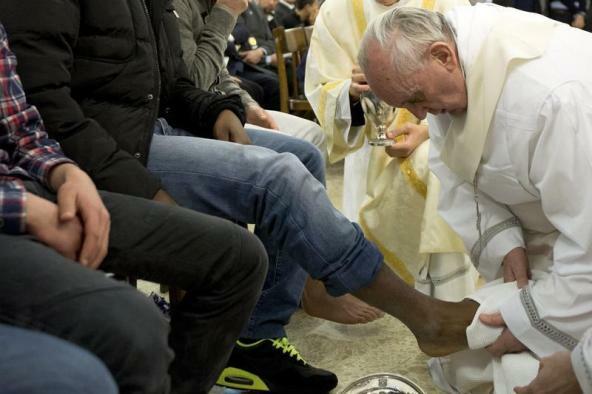 At the Lord’s Supper, Jesus washed the feet of his disciples and gave them an example of service to direct their actions toward one another. As modern day disciples, we witness our faith every time we genuinely serve others with sincerity and respect. We receive the Body of Christ (Holy Communion) to become the Body of Christ (the Church). As the Body of Christ is transformed (at the altar) we are transformed (in the world). As the Body of Christ is broken (in shared communion) we are broken (sharing our lives in service for others). As the Body of Christ nourishes us (in communion) we nourish others (in action that brings help, strength, and comfort). In other words, receiving Holy Communion – instituted at the Lord’s Supper – strengthens us for the Lord’s work as his disciples. May our next reception of the Lord’s Body and Blood give us the grace we need to recognize the face of Jesus and respond with loving service.